When you want to put your computer screen up on a TV, how do you do it? For many businesses and school districts, the answer is Airtame. 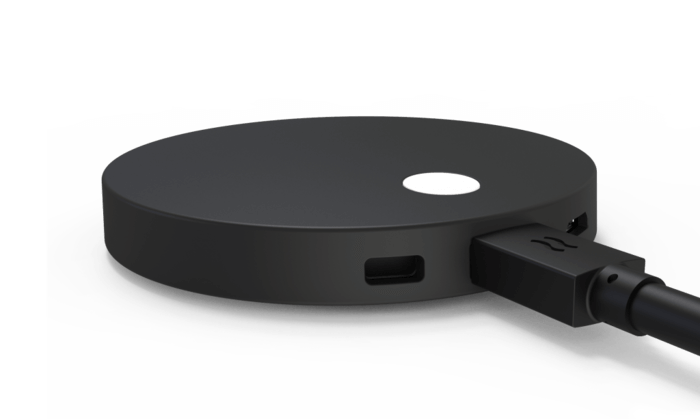 Airtame lets you share your screen from any device, making it perfect for digital signage and large-scale meetings. It’s a simple, easy to use tech that can power an entire organization. Airtame helps you use screens better. Airtame is platform-agnostic and extremely useful, but there are challenges in selling B2B. Is the organization a good fit for Airtame? Is the main point-of-contact the primary decision-maker? How serious is this prospect about using Airtame? When it comes to qualifying leads, Airtame uses lead scoring to make their sales process more efficient. And for that, they use ActiveCampaign. How does marketing automation help find the best customers? When your goals are to make something easier for people, you generally need people. Airtame uses lead magnets (like free offers or downloadable guides) to attract people to their contact list. Here’s an example of a lead magnet on a recent Airtame blog post. Airtame uses lead magnets to make the first contact. This is easier when you have a good, well-known product with strong customer testimonials to present with it. So, how are they using ActiveCampaign? To qualify leads. To make sure that new leads are interested—before they ever spend a minute of a salesperson’s time. 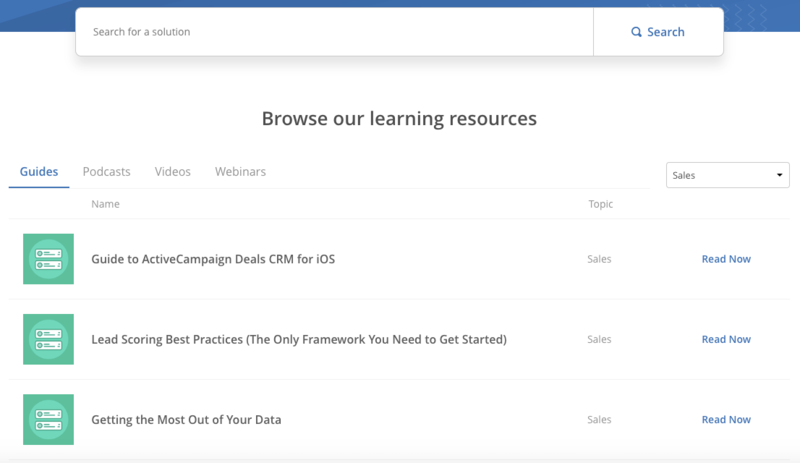 Website tracking + lead scoring = more focused lead nurturing and conversions for Airtame (yay!). Math has never been easier than that. Lead scoring makes it easier to know who will be an all-in customer and who will give your sales the runaround while never spending a dollar. How does lead scoring affect conversion rates? All of that lead nurturing effort isn’t done just for the fun of it. You eventually want leads to be nurtured enough to convert into a full-fledged customer. So how does lead scoring affect that conversion rate? Airtame tracks two separate lead scores to improve theirs. Customer Fit Score. What’s the lead’s profile, and how close is it to Airtame’s ideal customer? Engagement Score. 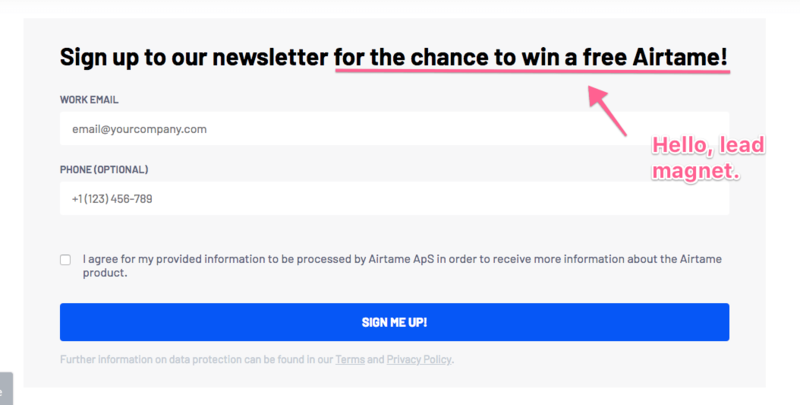 How often is the lead interacting with Airtame’s emails and other marketing? A lead magnet draws people in and prompts them to provide the information Airtame needs to score leads at different points in the lead-nurturing process. Customer Fit and Engagement lead scores get updated based on activity and information provided. Customers with high scores get sent to sales. The two lead scores are added together. If the combined score is high enough, the sales team gets tagged in to help. How does Airtame update its lead scores? Which lead magnet they came through. Was it a newsletter sign up? A blog subscription? A helpful how-to guide download? Points get added based on interaction with lead magnets (and the follow-up marketing). What information contacts provide. What’s their job title? Did they provide an email address (and what kind)? Was a phone number required? Contacts get points based if they provide extra information or are a good match to the Airtame buyer persona. Their level of website interaction. Website tracking goes hand-in-hand with lead scoring. How many pages a person visits and what pages those are can all hold varying point values (pricing and product pages are common examples). Of course, that’s just a few of the factors that can update a lead score. You can update a lead score based on almost anything you can track in ActiveCampaign. “What made a big impression on me is your help center and how easy it is to navigate” – Jimmy, Airtame. Check out our Help Center to learn more at your own pace! Not every lead is a good fit for your business. You can’t serve everyone, and you shouldn’t try to. Of course, if leads that aren’t a good fit spend a lot of time talking to your sales team—you’re wasting opportunities to talk to more qualified leads. Airtame uses marketing automation and lead scoring to make sure that their sales team only speaks to the most qualified prospects.